Andrei Rublev is a 1966 Russian film. Andrei Tarkovsky directed the film. Tarkovsky wrote the screenplay with Andrei Konchalkovsky. It is loosely based on the 15th century Russian icon painter Andrei Rublev. The story is set in 15th century Russia. Tarkovsky wanted to present portrait of life in medieval Russia. Russian history is intimately interwoven with Christianity. The 15th century was a turbulent time in Russia that ultimately gave birth to the Russian Tsars. This is a beautiful film that addresses many issues that plague the modern world. It explores the relationship between spirituality and materialism, individuals and community and other issues. 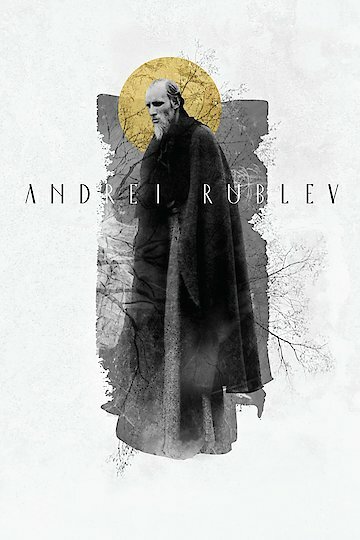 Andrei Rublev is currently available to watch and stream, buy, rent on demand at Amazon, iTunes online.